Kensington Palace (formerly known as Kensington House), dates from "1689 when King William III commissioned Sir Christopher Wren to build it out of the existing Nottingham House, away from the damp conditions of Whitehall Palace, which aggravated his asthma" (Wurman, 74). It was here that Queen Victoria was born and lived until she became ruler of England. 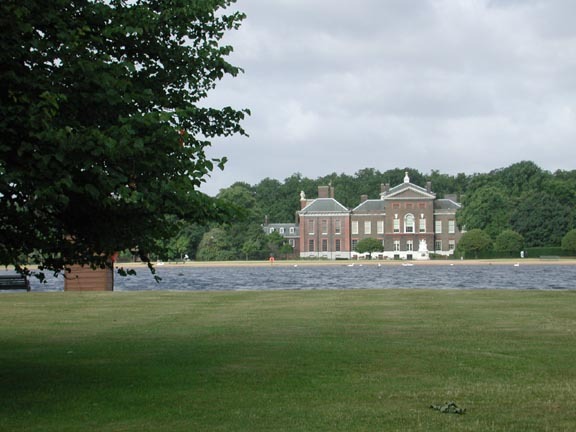 In this photograph Kensington Palace appears across the appropriately named Round Pond.